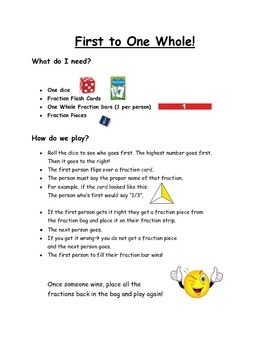 Fraction Math Center- First to One Whole! *Students build understanding of fractions and 1 whole. *Students love this hands-on math center!